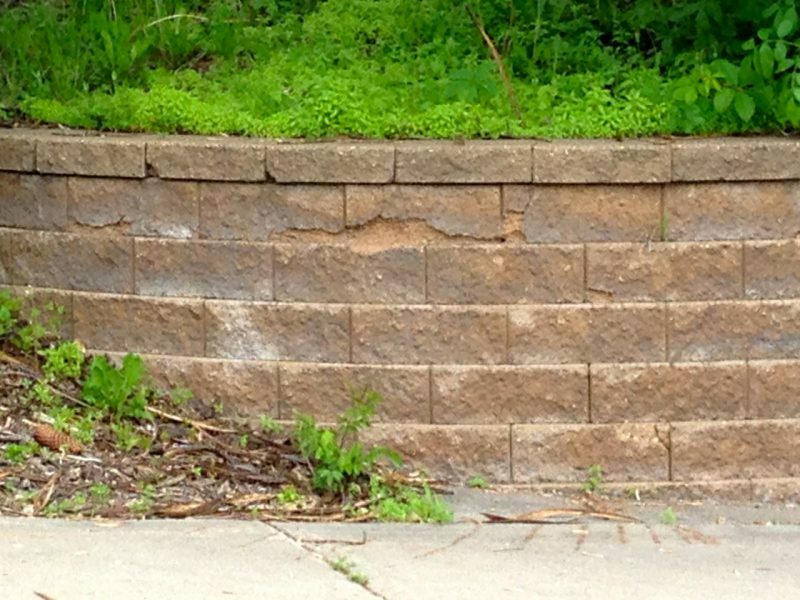 Don’t buy cheap concrete retaining wall block or patio pavers. I realize now that for many, budget does come into play. Concrete landscaping products are going to make for a less expensive hardscape addition to your yard. Just don’t go cheap. It’s as I’ve always said, there are three categories of products where one is always served best by buying the best, and that means the most expensive: fishing, camping and gardening. Concrete has evolved immensely over the years. Advanced formulations of slag, fly ash, silica fume, polymers and superplasticizers combined with the latest nanotechnologies are creating concrete products for the landscape that far outlast their predecessors. But these advancements are not as prevalent in the bargain basement, 99-cent-per-block realm. That’s why these concrete products cost less. In a large portion of the gardening world where freezing temperatures occur in winter, you’ll see relatively rapid degradation of cheaper concrete wall block and patio pavers, in as early as eight years. Even in hot, southern climes, exposure to those elements causes less expensive concrete products to engage in slow-motion decline beginning at installation. The most expensive concrete hardscape products will last longer, plain and simple.